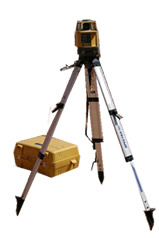 Kennon Surveying Services - Surveyors in Warren, NJ Somerset County. Kennon Surveying Services - Surveyors in Warren, NJ. For over thirty years, Ken Kennon, has provided professional surveying services to governmental, institutional and private clients. Licensed in five States, we will meet your local needs as well as those in neighboring states. Kennon Surveying Services has the staff, resources and experience to become an integral part of your team. We succeed when you succeed. Copyright© 2019 Kennon Surveying Services, Inc. and RJR Solutions, Inc.